Join Us!!! We are looking for someone to help us cover Ecuadorian basketball. Please send us an e-mail. KB Trepca Mitrovice (Superliga) added to their roster 27-year old American power forward Zach Reynolds (206-109kg-90, college: N.Arizona). He played last summer at Portoviejo in Ecuadorian National League. In 17 games he had 11.9ppg, 11.9rpg (leader !!!) and 1.3apg. Reynolds also played for Vancouver in U.S. semi-pro league NAPB. His team made it to the Big Sky Conference Tournament Semifinals in 2015. Reynolds' career allowed him to visit three different continents. 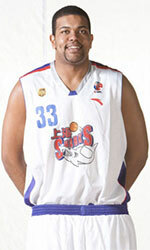 He tasted the life as pro basketball player in Europe, Latin America and of course North America. Reynolds has played previously professionally in Georgia (Mgzavrebi and Olimpi), Germany (Mustangs) and El Salvador (Aguila). He attended Northern Arizona University until 2015 and it will be his fourth season as a professional player. Abejas de Guanajuato (LNBP) inked 25-year old American forward Brandon Swannegan (206-95kg-93, college: Tulsa). He played in the summer at Juvenil in Ecuadorian National League. In 14 games he averaged 12.1ppg, 7.6rpg and 1.6bpg. Swannegan helped them to win the league title. Last year (two years after he left the college) Swannegan was drafted by Oklahoma City Blue (G-League) in third round (12th overall). 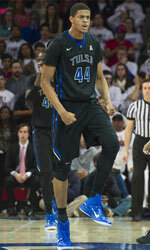 He attended University of Tulsa until 2016 and it is his third season in pro basketball. Swannegan was selected to Mexican CIBACOPA All-Star Game in 2018. He has played previously professionally in Switzerland (Lausanne) and Mexico (Toros and Garra Canera de Navolato).